Bitcoin has been around for over ten years now, and it has been forked 41 times. As many as 19 forks happened in December 2017. This tendency can be easily explained: in that period the cryptocurrency industry was growing by leaps and bounds, so everyone wanted to take advantage of it. It is ironic though that none of those 19 forks has become successful. ZelCash developers took the hard way. 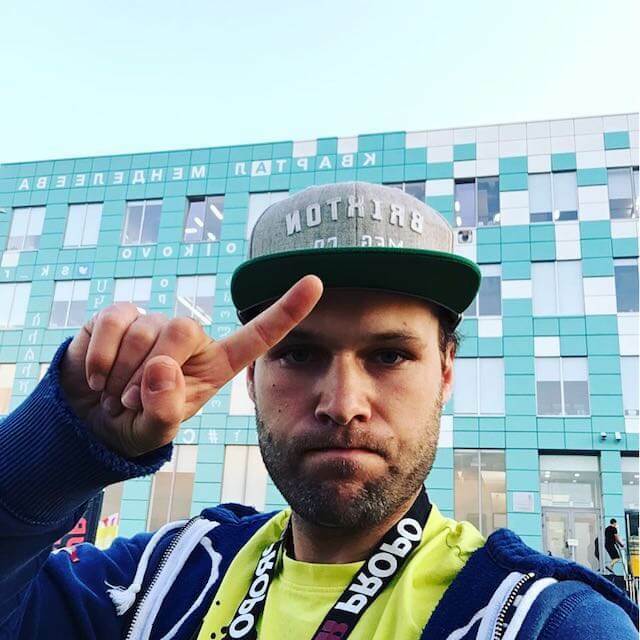 They launched the project in January 2018, that is, in the midst of the bear trend. Let’s talk about the coin’s advantages and mining. ZelCash is an anonymous cryptocurrency that has a leading role in Zel ecosystem as its main transaction tool. The project is the fork of Zcash and was created by Miles Manley. Being only 16 years old, he is often compared to Vitalik Buterin. Here are the main advantages of ZelCash. GPU mining support and protection against ASICs. Transactions privacy, thanks to zk-SNARK technology. Coins staking with the help of ZelNodes. Lightweight multi-asset wallet with special 2fa. The crucial role of the community – among other things, they have an influence on the allocation of funds. ZelNodes will be activated on February 21 on block #278 000. For the last few weeks, ZEL exchange rate has been around $0.03. Circulating supply is 52.46 million coins; the market cap is $1.58 million. The 24-hour trading volume is over $76k. It could have been bigger though. 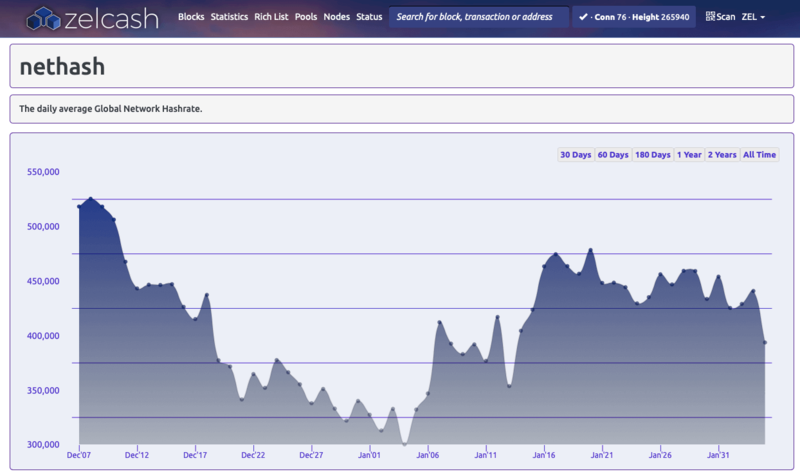 ZelCash reached its peak price on November 11 and amounted to $0.091. 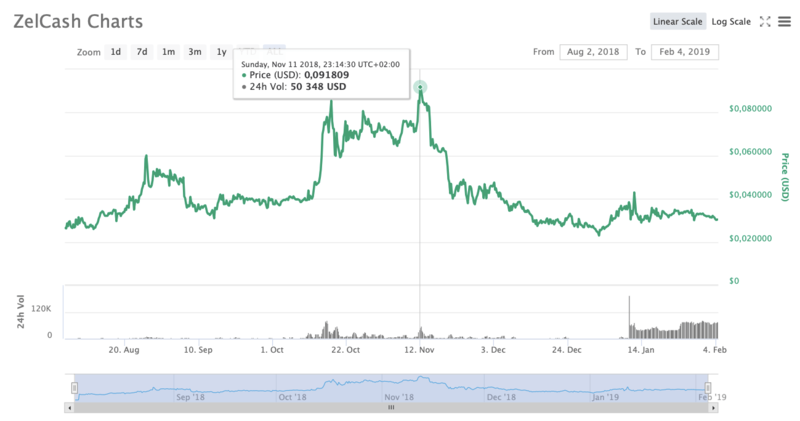 Back then, the cryptocurrency price increased by 25% in 24 hours, but it wasn’t long before it fell. STEX accounts for half of ZEL market with ZEL/BTC and ZEL/ETC trading pairs. TOKOK accounts for 46 percent of the market. You can also find ZelCash on TradeOgre and Trade Satoshi, but their ZEL trading volumes are much smaller. 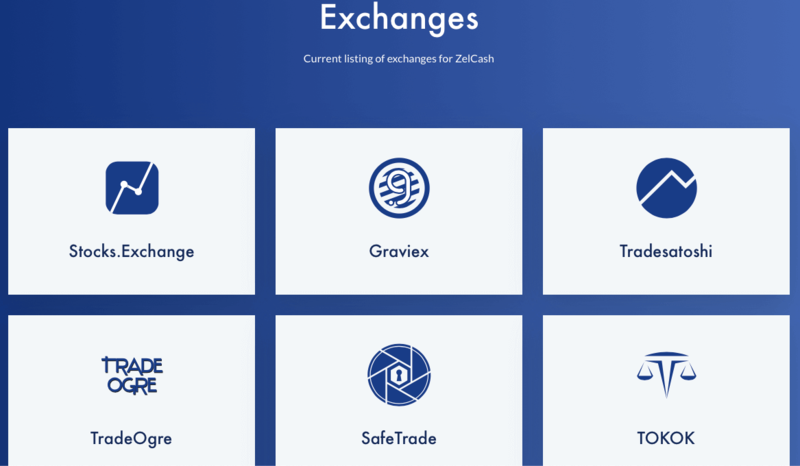 ZelCash also listed on Graviex and SafeTrade exchanges. The official website of the project offers three options: ZelCore Multi-Asset Wallet, ZelCash Swing Wallet and ZelCash Daemon. The last two are made exclusively for computers, while ZelCash Multi-Asset wallet also works on Android and iOS smartphones. You can find all the links here. ZelCash works on Equihash 144.5/Zhash algorithm, just like Bitcoin Gold and BitcoinZ. 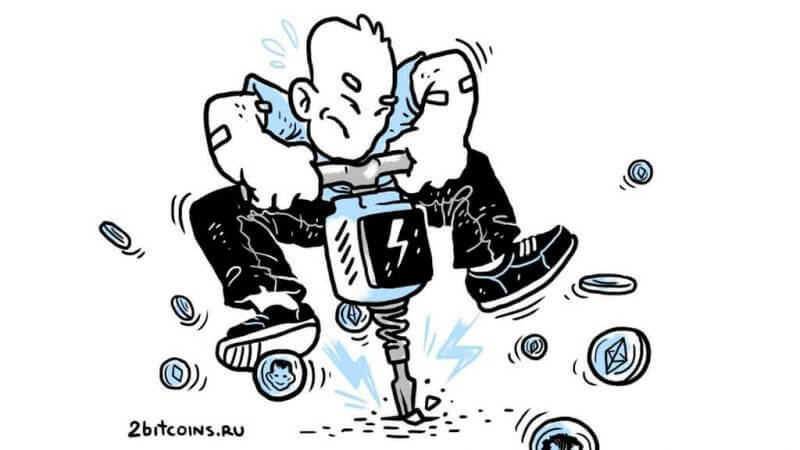 It means that EWBF’s Cuda Equihash Miner v0.6 can be used to mine ZEL. 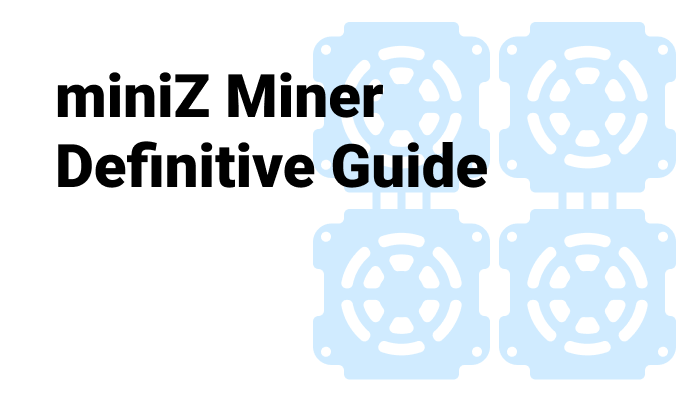 You can also use such miners as miniZ and Funakoshi. Block reward is 150 ZEL, block time is 2 minutes. Current network hash rate is 378 KS/s, a difficulty is 5.073. You can use the same mining equipment that used for Hush, Zcash, Zclassic – AMD and Nvidia 3GB+ graphics cards. 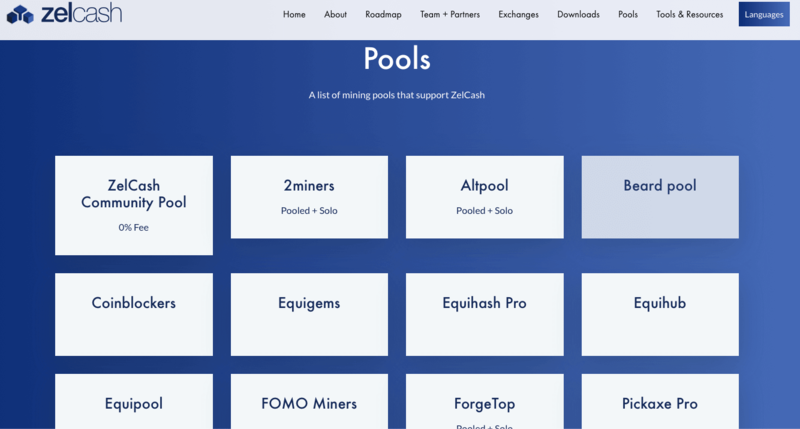 The official website names a few ZEL mining pools. The first in the list after the official ZELCash community pool is 2Miners – we highly recommend it for ZelCash mining. The pool boasts 8 thousand users online, regular payouts and beautiful UI. 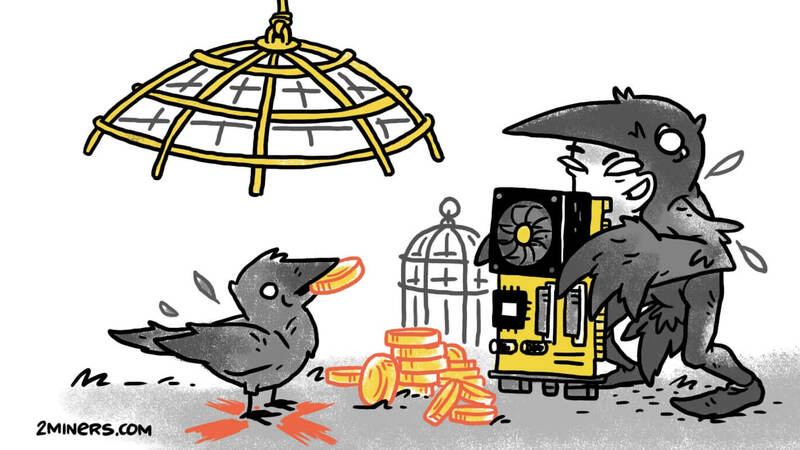 Also, Grin and Ravencoin will be added to the platform very soon. After you download the wallet and generate the address, install either miniZ or Funakoshi miner – these two demonstrate the most stable results. Use this link for download. The password for an archive is 2miners. Edit the bat file — replace YOUR_ADDRESS with your actual ZelCash wallet address. RIG_ID should also be replaced with your rig name. This name will be later shown in pool dashboard. This field is optional. You can use 32 symbols max, numbers, and latin letters only, as well as “-” and “_”. 2Miners ZelCash pool is also compatible with such hashing power rentals as Miningrigrentals and NiceHash. First, you should decide whether you will mine ZEL in SOLO or PPLNS mode. Let’s say your hash rate is 450 Sol/s, which corresponds to a rig with eight Nvidia GeForce 1080 Ti cards. According to Rubin Mining Calculator, at this hash rate, the block finds time will be 33 hours. It’s obviously too long, so you should mine solo only if you have at least three rigs like this. They would bring you around $10 per day, or a little over $300 per month. ZelCash work approach is impressive, as well as the variety of possibilities it offers. 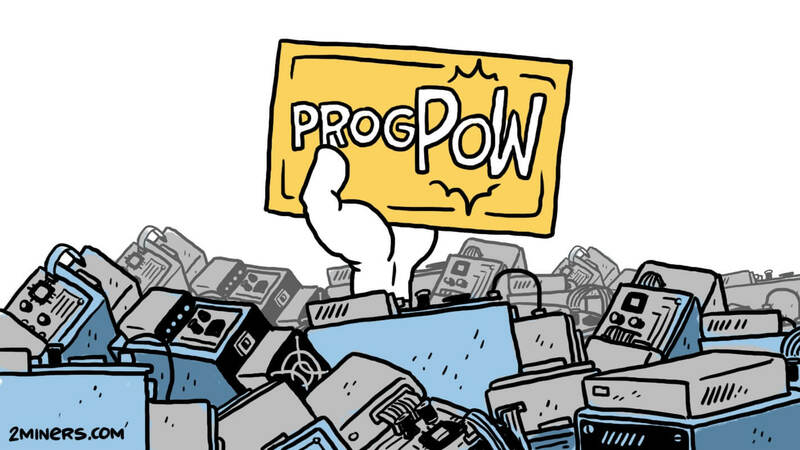 The leading developer hasn’t come of age yet, but the coin is already protected against ASICs and demonstrates other signs of maturity as well. It seems like Ethereum will soon have a new competitor. Let’s wait and see. Proud father, husband, and drone-racer. I've been working in IT Industry for more than ten years. I love finding new technology trends and I always try to work on the most promising ones. Cryptocurrencies are in the first stage of the World expansion and we will see a huge leap in their development very soon.